Hear and feel the therapy in every cell in your body. 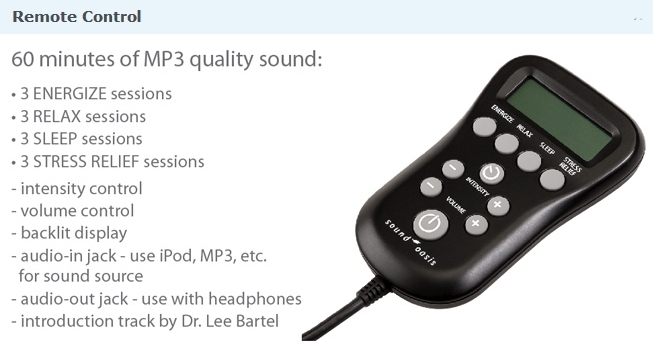 One hour of doctor developed music and vibration relaxes and renews your body – naturally. Clinically Proven, Doctor Developed Sounds – help you relax, renew your body and prepare you for sleep – naturally! 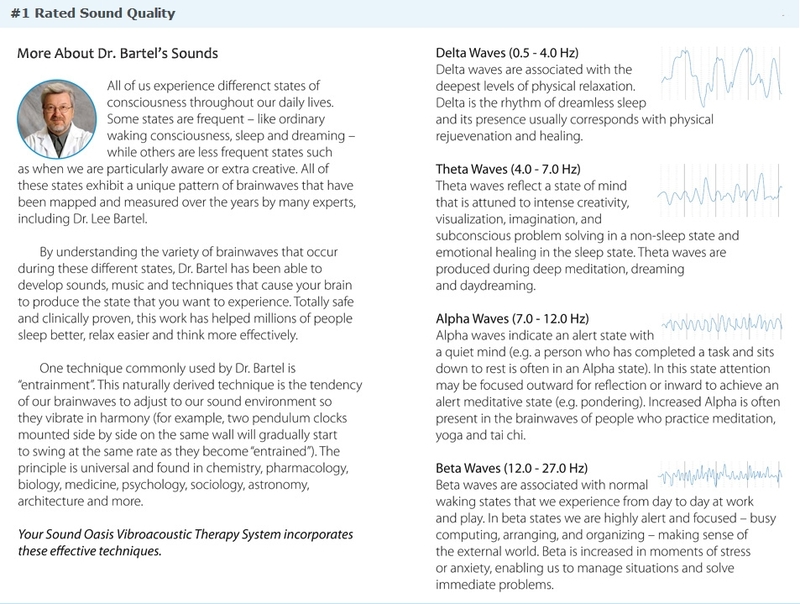 Clinically proven low frequency vibration that stimulates body cells into therapeutic states of relaxation and healing. Sound therapy provides soothing music with clinically proven brainwave entrainment for effective stress reduction, relaxation and healing. 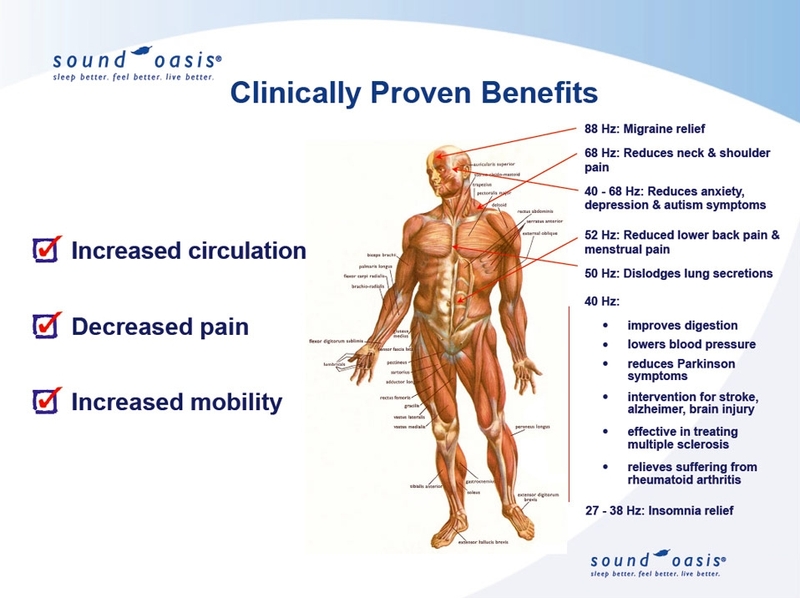 Why is Vibroacoustic Therapy so Effective? 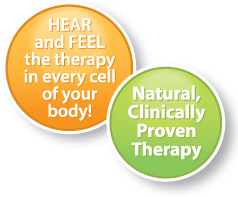 Vibroacoustic Therapy is clinically proven to provide therapeutic health and wellness results. It provides massage therapy to muscles and joints that hand/mechanical massage can not reach. For comparison purposes, ultrasound is a well known and accepted sound technology for viewing tissue inside a body and it operates at 20 KHz + (see below graph). 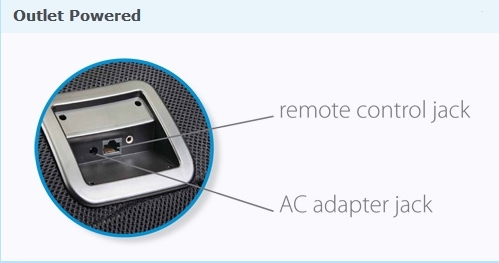 Vibroacoustic Therapy functions at 20 Hz to 100 Hz, the same frequency range that the body's energy channels operate at. We can bring these energy channels into healthy alignment with Vibroacoustic Therapy. Like hand/mechanical massage, Vibroacoustic Therapy aids circulation, relaxes muscles and feels good. Your brain responds to sounds that it hears. 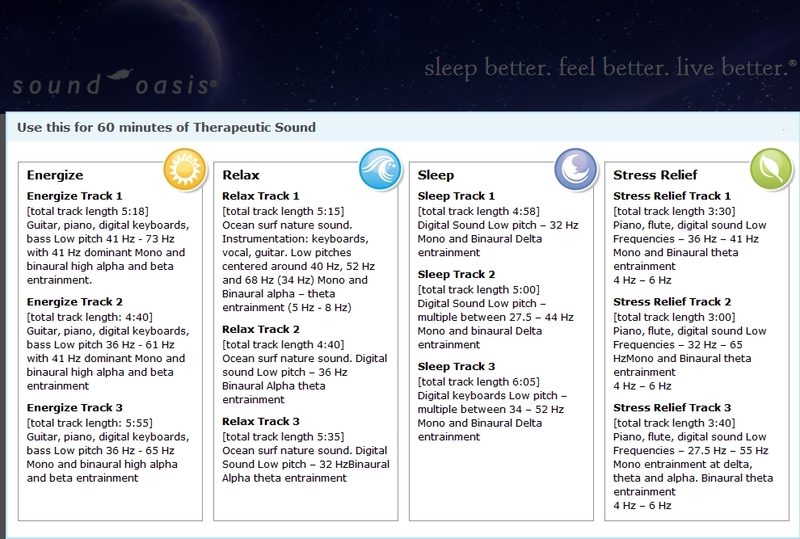 The Sound Oasis Vibroacoustic Therapy System plays back nature, music and therapy sounds with Delta, Alpha or Theta brainwaves to coax your brain to match these frequencies, thus entering states of sleep, relaxation or renewal. 12 Relax / Sleep / Energize / Stress relief sounds. Professional, digitally recorded sounds and music. 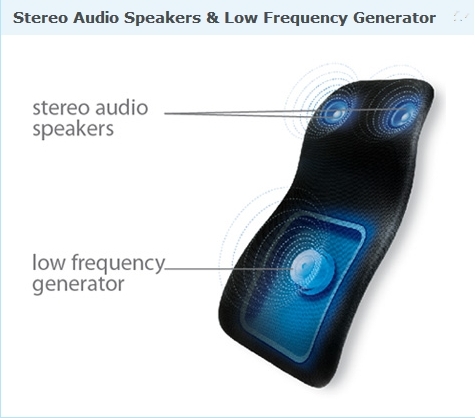 Controls sounds, volume and vibration intensity. Product dimensions: 17.75" x 5.5" x 30.75"
Package dimensions: 34" x 5.625" x 18.5"